Military Hospitals were fine places for war-time romances. We have researched three stories of couples who met at Beaufort and subsequently married. 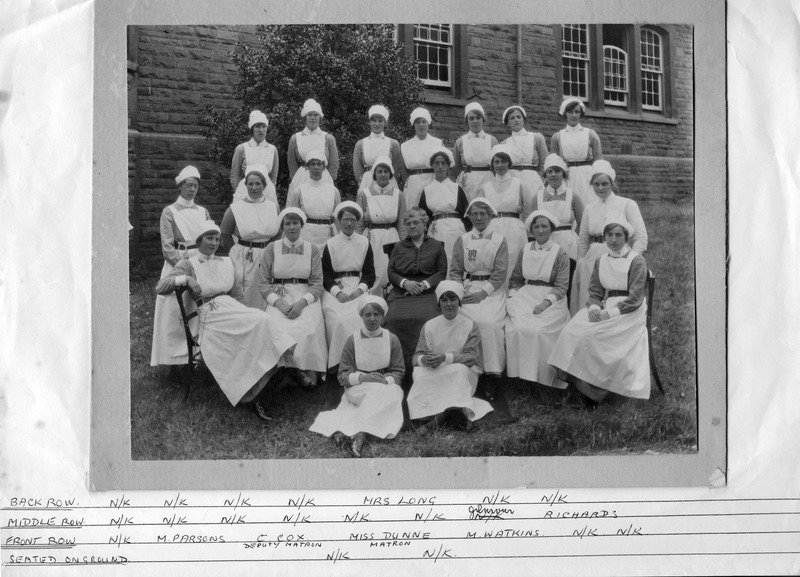 Hilda Newport was an Anzac nurse, born in Melbourne Australia. She arrived at Beaufort in 1915. Jack Wesley was born in Penzance, Cornwall, emigrated to Canada and during WW1 enlisted in the Canadian Expeditionary Force. They met at Beaufort in 1916, Jack was very poorly and suffering from shell-shock. Hilda requested to be released from her two year contract three months early, and returned to Australia in 1917. 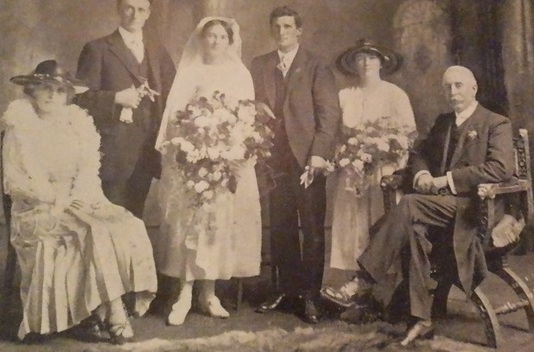 They married in Australia in 1918. The above is a photograph of a ‘mock wedding’ a piece of fun at the Beaufort where soldiers dressed up as bride, groom, guests and even vicar. We discovered an amusing report of this event in Cooee Magazine which was produced by Australian soldiers from Bishops Knoll Military Hospital, Bristol. Census records show that Marion Dunn and John Richard Phillips were both working at The Bristol Asylum in 1902. With the arrival of the First World War Dr Phillips enlisted in the Royal Army Medical Corps (RAMC) and became a major, whilst Marion Dunn was demoted to House Matron for the duration of the war. 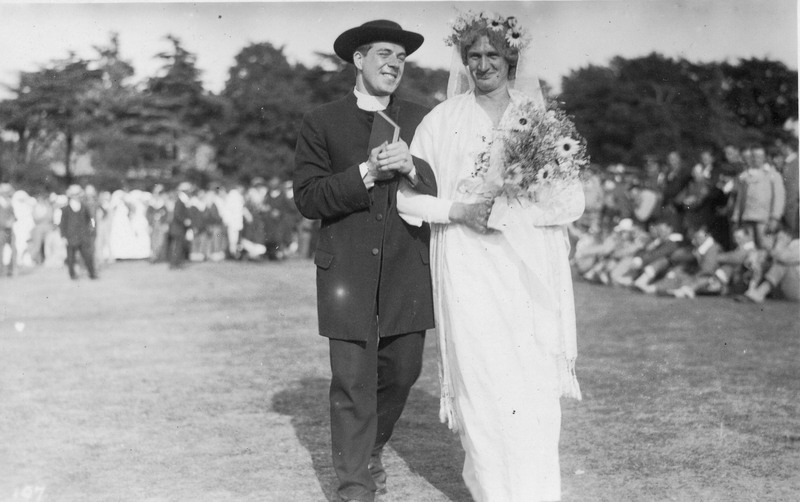 After the war, aged 57, Marion finally got her man, they married in 1925 and lived in Wiltshire.